Maintaining yeast over long periods of time is often over thought resulting in more chances of contamination and loss of 95% of the viable yeast. Water washing of yeast, often referred to as yeast washing or yeast rinsing, results in discarding all but a 1/20th of the viable yeast and, in my opinion, should not be done to prepare the yeast for storage. The addition of fruit to the beer will affect viability. (1) Because the addition of fruit to the beer reduces viability the yeast should be harvested before adding the fruit. To maintain the health of the yeast, add the fruit to a secondary fermentation vessel and rack the beer on top of it. Then harvest the yeast from the primary vessel. 1) After racking the beer off of the cake, slosh the vessels to homogenize the slurry. 2) Pour the slurry into three or four quart size mason jars. 3) Store the Jars in the refrigerator. During the first few days of storage CO2 will be released from solution. It is important that this gas can escape. The easiest way to accomplish this is to not tighten the lid all the way. Leaving it just a little tight for the first few days will allow the CO2 to escape slowly and because there will be a positive pressure in the container contaminates will not get in. If you are concerned about contaminates then another option is to vent the containers a couple of times a day until all of the pressure has been released. Each jar will typically contain 300 billion to 2 trillion cells. If you don't have a microscope 1 trillion cells is a good estimate. If the ABV of the beer that it was taken from was less than 6%, and there was no fruit added before the slurry was collected then it is fairly safe to assume the viability is 90%. Viability does not drop much over time, so don't use any date based calculations for viability. The type of beer that the slurry was take from have a much larger effect on viability. (3) The Practical Brewer - Yeast - Strains and Handling Techniques. p276 of the third addition. Great stuff here! I have heard of people using American light lagers instead of water to "rinse" their yeast... any validity in this idea? Your method, which is resulting in higher viability, seems a lot easier than going through the whole water rinsing treatment! Thanks! I haven't head of using beer to rinse yeast. That's intriguing. Not discarding good yeast results in more viable yeast, but the viability is about the same as water washing. I'm surprised to see that you think that yeast viability doesn't drop much over time. What data are you basing this on? This is based on methylene blue viability testing. Methylene Blue stain is highly processes dependent, and the amount of stain needed can vary greatly from one strain to the next. It's not the most accurate method of assessing absolute viability, however the results show no relative change from day to day which would indicate that the relative viability is unchanged. This is something I need to explore further, and will likely do in posts to come. Have you looked into fluorescent stains for assessing yeast viability? I don't really think using fluorescent staining is a practical idea for homebrewers mainly because the stain would cost a couple hundred bucks and the microscope would be a few thousand (cheap) or near 60+ thousand for a good one, plus maintenance etc. From what I've seen from other people's data, the viability gradually goes down to around 60% over a period of 1.5 or months, and then kind of levels off, but continues to slowly decline. If you want some really good yeast banking techniques with descriptions, check out Sam's writeups at Eureka Brewing. I wouldn't trust the MB stain that much. I think any stain has its issues and if you want to make a statement about true viability you'll have to do plate counts. I think the issue with old yeast is both viability and level of glycogen stores. B/c apparent viablity can easily be tested with MB staining brewers seem to obsess over that number. But in the end the lag time and fermentation performance depends on more than just how many yeast cells are still alive. I would prefer a smaller number of fresh and healthy yeast over a large number of alive but starved yeast. I have seen noticeable differences in fermentation performance between yeast used 1-2 days after propagation and yeast used 5+ days after propagation. You don't get much cell death during that time. Agreed. There is more to yeast health than viability. I've been working on a post on that subject. 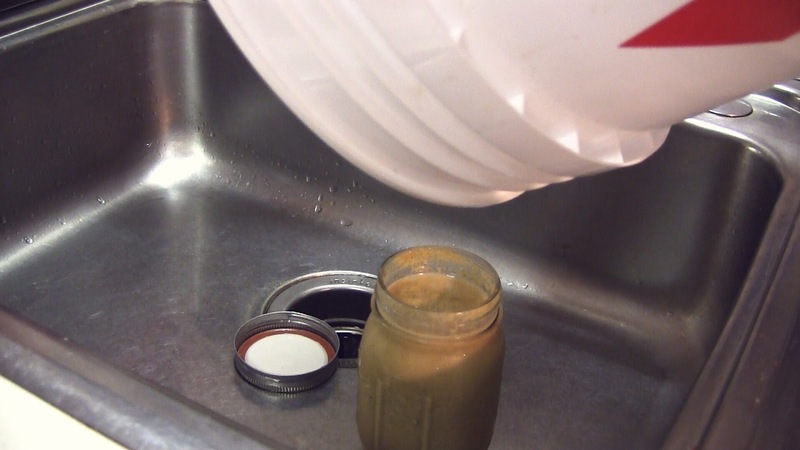 Will unwashed yeast slurry really keep for approximately six months refrigerated? Everything I've previously read claims that water washing extends the yeast's window of use to six months and unwashed yeast should be used in less than two weeks. I'm not doubting these great findings, just asking before I try storing unwashed slurry for longer than a couple weeks. Thanks! This a very timely question. Just this weekend I revived some yeast that I had stored over five months ago. Upon removing it from the fridge I washed some with acid, and left the other alone. Both took off exactly the same and seem to have generated the same number of cells, and smell the same. I'll have more data on this coming up, but preliminary results seem to show there isn't a detectable difference.